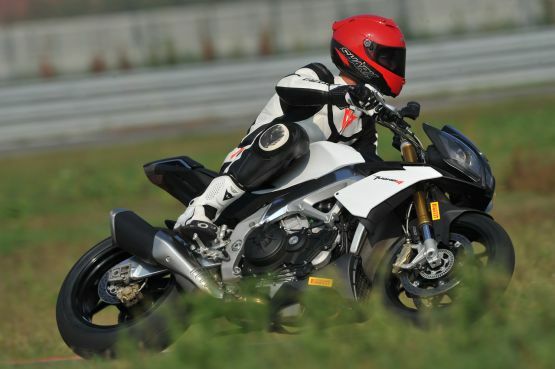 Aprilia’s high-tech APRC (Aprilia Performance Ride Control) electronics package is now standard fitment on the Tuono. 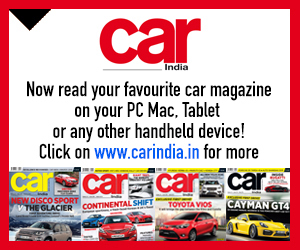 As before this includes eight-way traction control, adjustable via usefully big buttons on the left bar, plus quick-shifter, anti-wheelie and launch control. 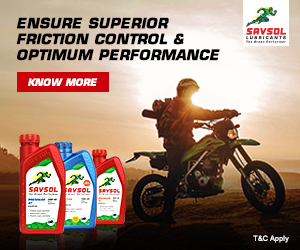 For 2014 the traction control system is refined with a new speed sensor that improves its performance by taking into account how fast the bike is cornering. If those engine changes are mostly about enhanced performance and control, the Tuono’s chassis updates are all about comfort and practicality. The twin-spar aluminium frame and the wheels aren’t touched, but almost everything else is changed – starting with suspension, where the 43-mm Sachs forks and the same firm’s remote-reservoir rear shock are re-tuned for extra compliance. 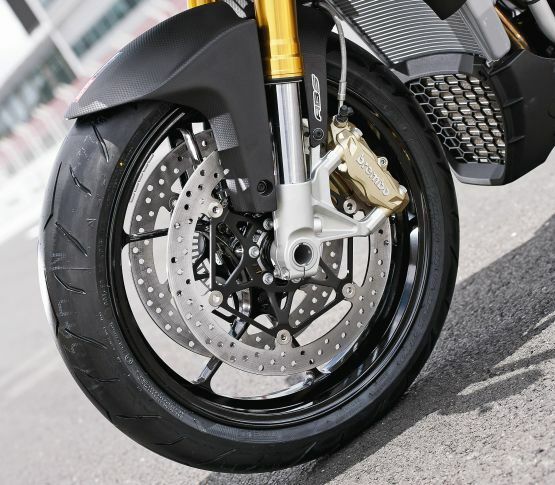 The front brake system is upgraded with Brembo’s Monoblocs in place of the original model’s standard four-piston callipers, and gains ABS as standard. 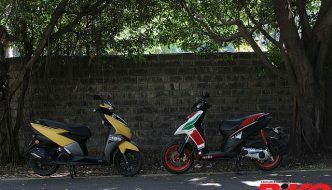 Fuel capacity is increased from 17 to 18.5 litres, in response to one common criticism of the original model; a new seat gives more padding for both rider and pillion, in response to another. Less obviously, the side-panels are also re-shaped (Aprilia say this is to give a better feeling when cornering or braking, though I’ve no idea how). 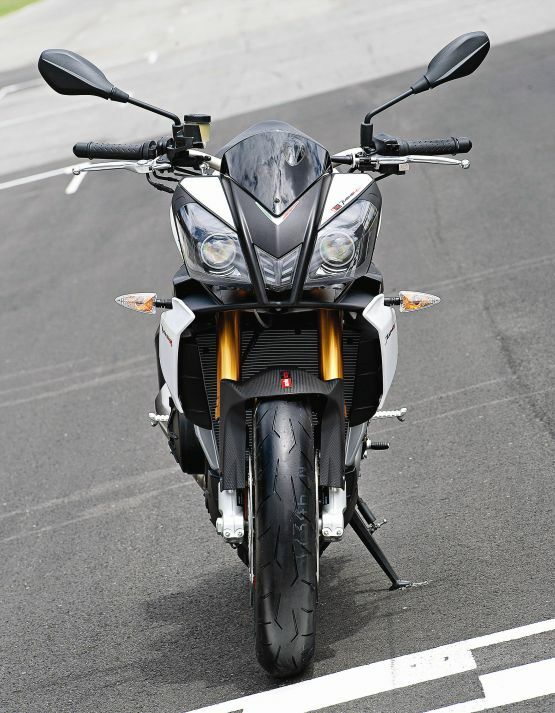 There’s no change to the half-fairing, which incorporates air intakes on either side of the angular twin headlights. The changes sounded sensible, but of little help when I arrived at the San Martino del Lago circuit, near Milan, for the launch to find light rain falling. Aprilia’s mechanics fitted Pirelli racing wets for the first session. That boosted grip, but upset the handling of the Tuono, which shook its head all the way down the straight, despite the assistance of the steering damper tucked below the unchanged digital display. Fortunately, the rain stopped, the track quickly dried, and with its standard fitment Diablo Rosso Corsas the Tuono felt like its old self: neck-strainingly rapid, stable yet superbly manoeuvrable with those high bars, and barely slower than the RSV4 R. The V4 motor is a wonderful device; not only stunningly powerful at the top end, but also very flexible. It also made a gorgeous growl through that single silencer as the revs rose and fell, barely pausing for breath as I flicked through the box with the help of the efficient standard-fitment quick-shifter. The extra three PS wasn’t detectable, but the Aprilia certainly felt as though it had plenty of power, especially as it charged down the long main straight while I made a fairly unsuccessful attempt to tuck down behind the low screen. 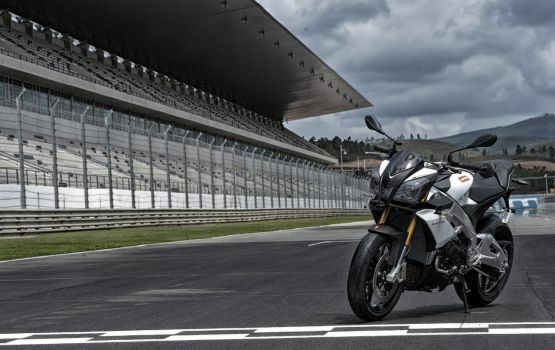 Like the RSV4, from which it’s derived, this is a seriously rapid superbike, with a top speed of over 260 km/h. 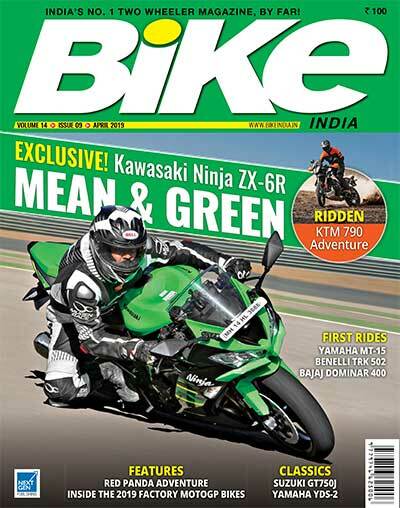 And in naked bike fashion it’s often all the more fun for emphasising rather than disguising that speed.